If you have, don't worry, you're in good company. The good news is, it's something that can be fixed fairly easily, depending on the issue you're experiencing. Before I get into that, let's talk about whether or not direct mail is worth it. In real estate, direct mail is one of the most cited sources for seller leads. Direct mail is oftentimes less competitive than on-market lead sources, like the MLS, and is easy to automate and remove yourself from. So now the question becomes, if direct mail is so effective for so many other investors, why are you having such trouble getting your mail to the right people, getting them to pick up the phone, and ultimately inking a deal with a you? There are a few reasons, which I'll cover below. "I got a lot of return mail." "I didn't get many/any calls." "I got calls, but they weren't good leads." "I got a lot of return mail"
One issue you may have is receiving a lot of return mail. This problem is generally rooted in the list that you mailed to and, more importantly, how it was processed before sending it. In the United States about 8% of mail is undeliverable. This number fluctuates each year according to the USPS. 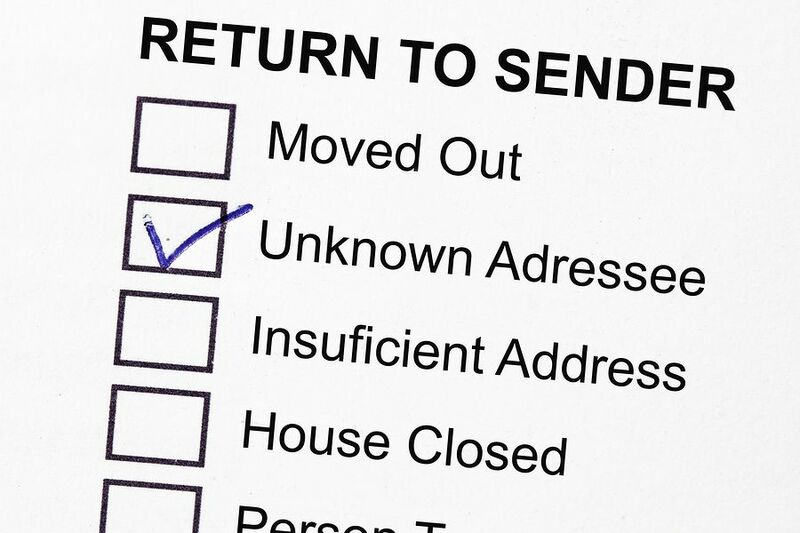 There are a lot of factors that can affect your return-to-sender rate. Incomplete, illegible, or incorrect address. Addressee not at address (unknown, moved, or deceased). Mail refused by the addressee at time of delivery. Mail refused by the addressee after delivery when permitted. Minimum criteria for mailability not met. A lot of these can be fixed or addressed by the list company and at the direct mail sender level, but some are inevitable, so you should never expect 100% deliverability. The most common, and easily fixable, issue is having an old address. Almost all list companies work with public data from the county and courthouse. Sometimes this information is out of date due to people moving, abandoning properties, or moving out and turning them into rental properties, etc. Unless a person updates the county, this information will be out of date. When people move out of a home for any reason, they have to fill out a Change of Address Form with the USPS, either online or via mail, to keep their mail flowing. It's not required, but is highly recommended by the USPS. Not everyone fills these out, so oftentimes the USPS has old information. Even if the form has been completed and the USPS updated, there could be data entry errors that occur at the county level, or at the USPS level, if the forms were manually mailed in. This would cause the same type of issue. I'll talk about how to fix these types of addresses in a bit. Condos are another notorious high return to sender candidate. The reason? Condos generally have a shared mailbox that the USPS will stop delivering to if it becomes too full. This falls under the Mail Unclaimed category above. Another issue that the USPS has been trying to find ways to battle are mail issues resulting from seasonal residents. In the winter, people will migrate and live in a property that they own out of state. If they don't put a temporary hold on their mail, either where they live, or when they leave their seasonal home, it can create headaches making sure their mail gets to the right place. Some list types are just more prone to return-to-senders than others. For example, people in foreclosure or bankruptcy might not update their mailing records after moving on from a property, whether voluntarily or via eviction, in order to make it more difficult for creditors to contact them. This doesn't mean that these lists shouldn't be targeted. Quite the contrary; these lists are some of the most fruitful direct mail lists you can send to. List type issues represent a small portion of returns, and using the technique I'll talk about below they can be turned into gold! So how do you fix these issues? When I first started in real estate the only providers of lists were counties and it was a pretty manual process to go down there and pull them. Now there are a lot of companies out there that grab information directly from the counties to provide them to real estate investors. The better and more reputable the data provider that the list companies use, the better the lists you are going to get. That's why I've had our development source the best data providers in the United States to get the highest quality data for our users to build lists from. We pipe all of those right into our Leadpipes real estate direct mail list building feature. The beauty of Leadpipes is, you get to see the leads before you download them so you can make an informed decision and build the very best list for your business. 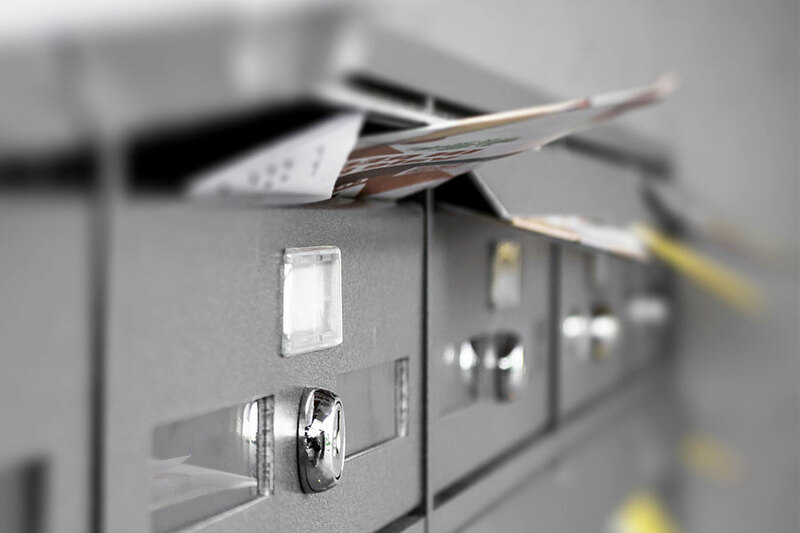 The most common (and important) process for list companies and/or direct mail companies to run is to process a list through what's called a National Change of Address (NCOA) registry. This is a database provided by the USPS that includes over 160 million change of address records that list companies and direct mail senders bounce their lists off of to update any addresses that may be bad. Most NCOA programs have a minimum fee to process and charge per number of leads, but Realeflow's Direct Mail service includes NCOA processing automatically when you use our Direct Mail Engine to send to your lists. Solution #3: Skip Trace For Gold! Now that you've ensured you have updated as many addresses as possible prior to sending, there's one other thing you can do with the inevitable returns you'll receive - skip trace them. Skip tracing services online are companies that track down information for you that they can readily find online and through services they have access to. Sometimes skip tracing services can track down an updated address, phone number, or email address for the seller. This is a tactic that seasoned real estate investors use all the time to find great seller leads that oftentimes slip through the cracks. As we discussed earlier, not all return mail is due to a bad address. Sometimes it's due to the person not updating their records, like with pre-foreclosures, tax liens, abandoned properties, or bankruptcies. These people are oftentimes trying to stay under the radar. Find them and you might be able to help them in the situation they are in. That's a win-win for everyone! According to the Direct Marketing Association, the average response rate for 2016 was 2.9% for prospecting lists. Prospecting lists simply means lists that are purchased and haven't directly asked you to send them direct mail pieces. Here, at Realeflow, we have seen users experience the average all the way up to 14%. Let's talk about some of the reasons why your response rate might be low. You may have heard this one before, "direct mail is a volume game." That's because if you look at the average response rate mentioned above you need to send a lot of mail to get the phone ringing at average response rates. Let's run through an example. I'll round the average response rate mentioned above to 3% to make the math a bit easier. So, if you send to a list of let's say, 25 prospects, that's .75 responses you can expect! Now let's say you send to 100 prospects; that's 3 calls you could expect. A lot of the time when we look at the data in our system, users that are dipping their toe in direct mail and doing smaller sends to keep costs low, see lower response rates. To fix this, increase the number of people you are mailing to 100 or more prospects. With Realeflow you can pull up to 1,000 records at a time when using Leadpipes. The next reason people get only a few calls on their direct mail campaign is they didn't send to the same list enough times. Seasoned direct mail marketers know that the response rate goes through the roof on the 4th, 5th, and 6th touches. This is because the person has seen the piece a few times at that point. To fix this, simply schedule a few more campaigns to the lists that you've only targeted once. In Realeflow's Direct Mail Engine you have the option to send a multi-touch direct mail campaign to make sure that your mail pieces get in front of the right person as many times as needed. I don't want to spend too much time here, but a lot of people think that the letter is the most important part of the direct mail success formula. According to one of the founding father of direct marketing, Ed Mayer, 40% of your success is in the list, 40% is in the offer, and 20% is in the format or type of mail. So if you are going to spend time focusing on the creative, spend it on the copy and not trying to find the perfect letter style or card. Realeflow is pre-loaded with effective direct mail pieces and copy that were written and designed by experts who have been proven to get results. 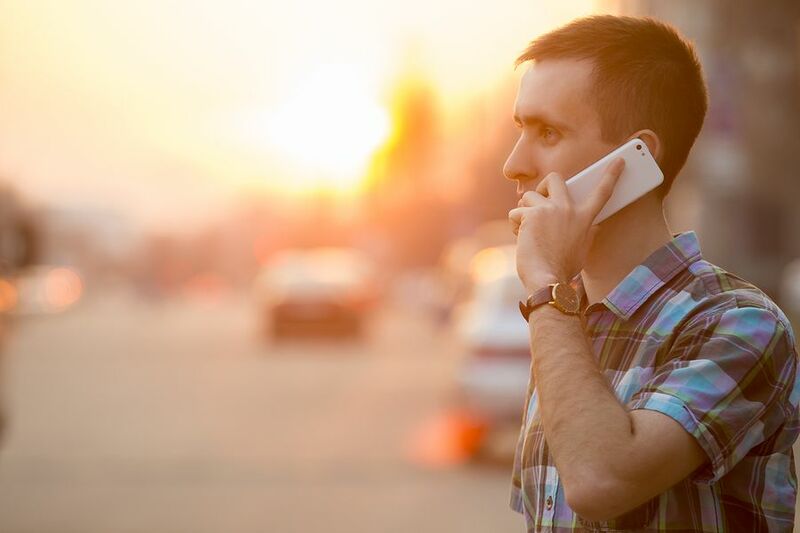 This one might seem strange, but when it comes to Calls to Action, less is better. This simply means that you shouldn't tell a person too many things to do or you lessen the chances of them doing it. Oftentimes, I recommend you stick to one of two methods. Your Website and Phone Number. Your website - 90% of people will check out your website before calling in response to a direct mail piece. So make sure you have a website set up before you send your mail. Inside Realeflow you can set up a squeeze page in 5 minutes or less that will give you a professional page they can visit to get more information about you and your business. Now that we've gone through some of the technical reasons why some direct mail campaigns fail before they're ever sent, let's talk about the other part. That's right. Sometimes the reason some campaigns don't work out is because, when the phone rings, you're not prepared to answer it. That's ok if that's the case because it's something that's easily fixed with a great call script, some rehearsal, and some creativity. I say creativity because each call and seller you talk to is unique. They may not work out right away or may not even be a great seller lead at all, but might be a great private lender or cash buyer. One of our Realeflow support reps was telling me once about a call he had with a user who had reached out saying that our leads aren't good. After talking a while he realized the person had gotten calls, but didn't know what to do on the call. The first call was from an investor that the user met with for coffee, but wasn't able to strike a deal with on any of the several properties he owned. In the end, the investor wanted too much money. The second call was from an older couple that moved out of state and had turned their first home into a rental property. They had missed a mortgage payment, but weren't ready to sell yet and weren't in deep financial trouble yet. They were just curious. Both of those calls, though they didn't turn into deals, were still great leads! At the very least, he is now positioned in their mind as someone capable and willing to help them if they ever get to the point of needing to sell. Setting reminders in Realeflow and continuing to follow up with these people is critical to stay top of mind. In the case of the investor, he also now has a great cash buyer lead in someone that has shown he is willing and able to purchase investment properties. In the case of the older couple, they have shown an indicator that they could end up in foreclosure eventually. Set a reminder to send them a message or call them every month or two to see how they're doing and where they're at. The moral of that story is, you have to think creatively with every call, especially when you are mailing to a list of home owners that might have any indicators of motivation like probate, pre-foreclosure, or tax liens do. The other important factor to taking a seller call is having a great script. Here's a copy of one that was written by top real estate investors. A good seller script acts as a guide that gives you the questions you should ask before the end of a call and gets you the information you need to determine if you should go see a property. We have a great seller script that was developed by some of the top real estate investors in the industry. You can get it as a part of the real estate investor tool kit below. With the right list, direct mail piece, and call script real estate investors can dramatically increase their chances of getting to their first deal or one hundredth. They just have to be willing to keep sending campaigns and trying new things. Hopefully the list above will help you tweak and refine your campaigns to get the best return for your marketing dollar.